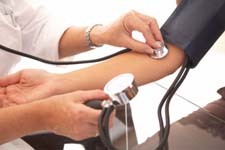 Important for optimal health are natural cures and home remedies for low blood pressure. While many are familiar with the effects of high blood pressure, the symptoms of low blood pressure can equally impose upon one’s general health. To properly employ home remedies for low blood pressure, it is important to first understand what it is, what symptoms are associated with it and then explore the simple ways in which alternative treatment options for low blood pressure can be of use to those who suffer from it. Hypotension is the correct medical term used to describe low blood pressure. When measuring blood pressure, it is the arterial pressure that takes place by the heart beating and infusing the arteries with blood that is actually measured. Also measured is the pressure that is present inside of the arteries between heartbeats when the heart is effectively resting. The combination of these two measurements is represented with a numerical value such as 120/80, which is considered normal for healthy people. However, when pressure consistently measures below 90/60 a person is diagnosed with dangerously low blood pressure. Alternative treatment for low blood pressure is also a way to protect one from its onset to begin with. While low blood pressure is often a target goal in decreasing the risk of heart failure, consistently low levels of blood pressure can be dangerous and should be avoided. Natural remedies for low blood pressure are effective, safe, easy to use, and beneficial to follow. However, be advised that low blood pressure symptoms can also be a sign of an undetected health condition such as internal bleeding, organ malfunction or infection. If symptoms appear severe, a person should seek immediate medical attention in order to properly assess the symptoms and their cause.